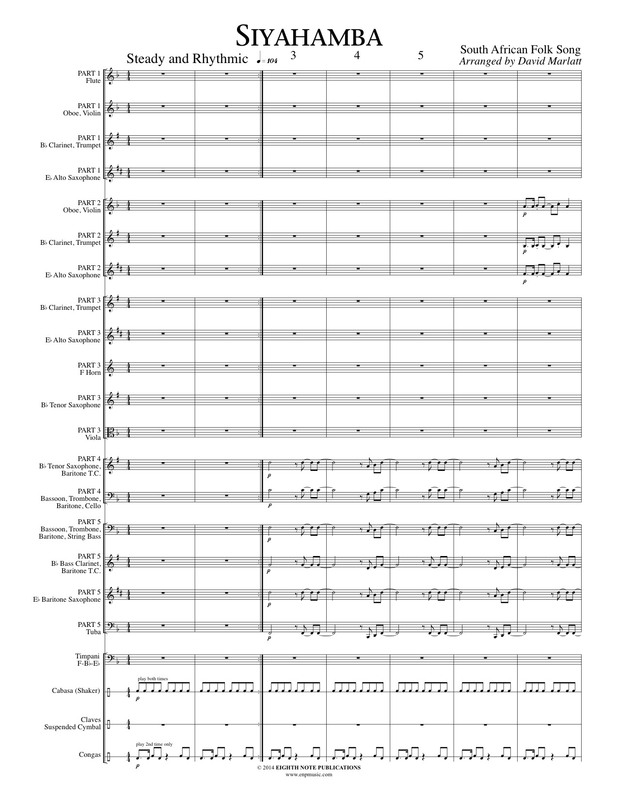 This is a traditional South African folksong that has been adapted and arranged for concert band. The authentic rhythmic backgrounds performed on a variety of percussion instruments add colour and interest. This is exciting music to add something really different to your next concert.